Hello everyone and happy Friday to you all, in this post I’m going to share some information on our 1ply Cobweb and 2ply lace woollen spun yarns. As well as Fair Isle knitting Shetland is also famed for its Lace knitting. 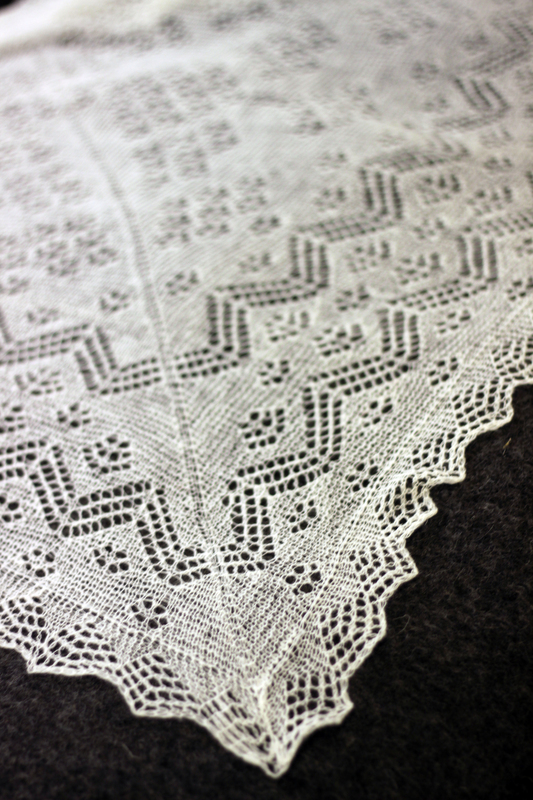 This is often attributed to Unst, one of the many islands in Shetland but it was popular all over Shetland and there are still many talented lace knitters. It was in 1977 Jamieson & Smith first asked Gladys Amedro to help provide them with fine lace patterns. Gladys had moved to Yell and in Burravoe she became close friends with with the late Nellie Tulloch, a native Shetlander whose knowledge of Shetland knitting was bred in her bones and she taught the skills to Gladys. Her first design using 1ply Cobweb was published in the Women’s Realm in 1978, many other designs followed including a Christening Robe and Shawl commissioned by Womens Own in 1988 to celebrate the birth of Princess Beatrice, the designs (still available from us as kits here and here) incorporated the Rose of York and an Anchor, to represent the babys Mother and Father. The result of this design led to Jamieson & Smith placiong such a large yarn order for Cobweb that it was queried in case an extra digit had been added.. 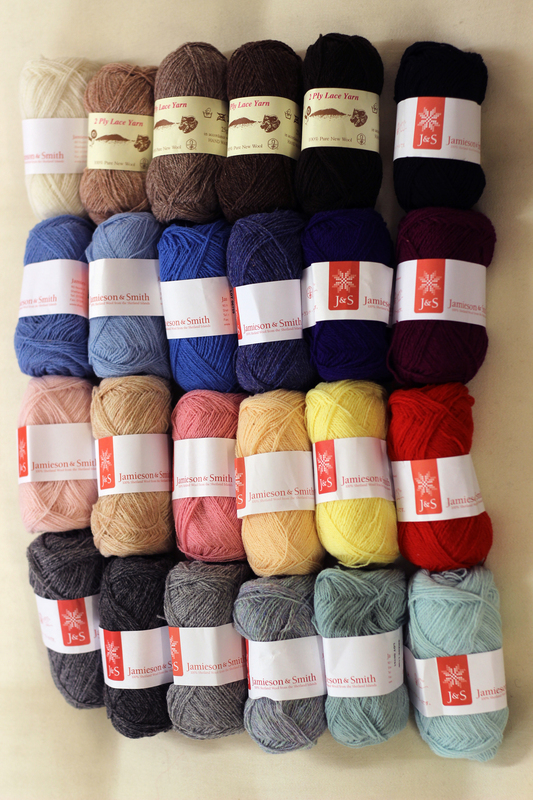 Currently available in over 20 shades our 2ply Lace yarn can also be used in any pattern calling for 3ply Yarn, making it a perfect yarn for Vintage patterns. Like the cobweb it is also blended with Lambswool to give it some added strength. Having the yarn slightly thicker than the 1ply means it gives a bit of substance to lace patterns but also means it will keep you warm in a scarf or stole. We’ll be back next week with another look at one of our ranges, until then have a good weekend! 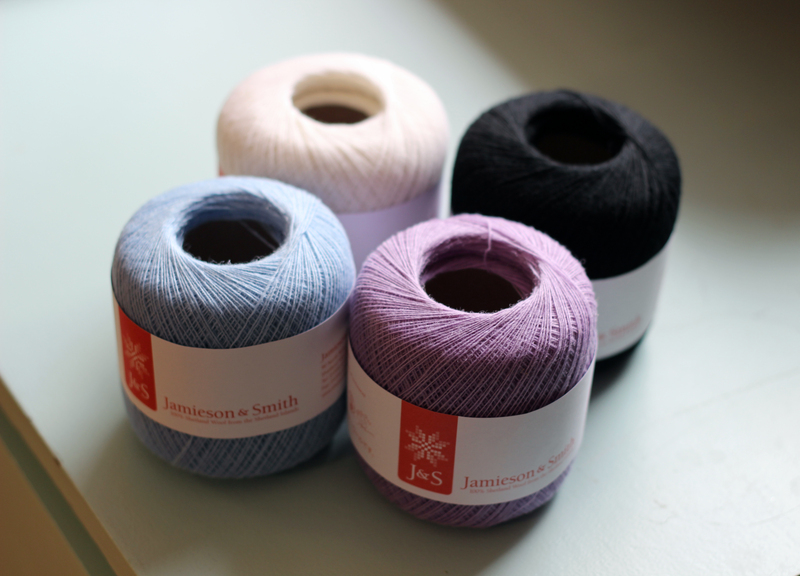 When I was at Shetland Wool Week last year, I bought some Cobweb Yarn….have just started making a shawl with it!! Hope to bring the finished product with me this year!! Those yarns are what make us ‘drool’ over the keyboard……….something very primal about them as a friend of mine said. I love these post. 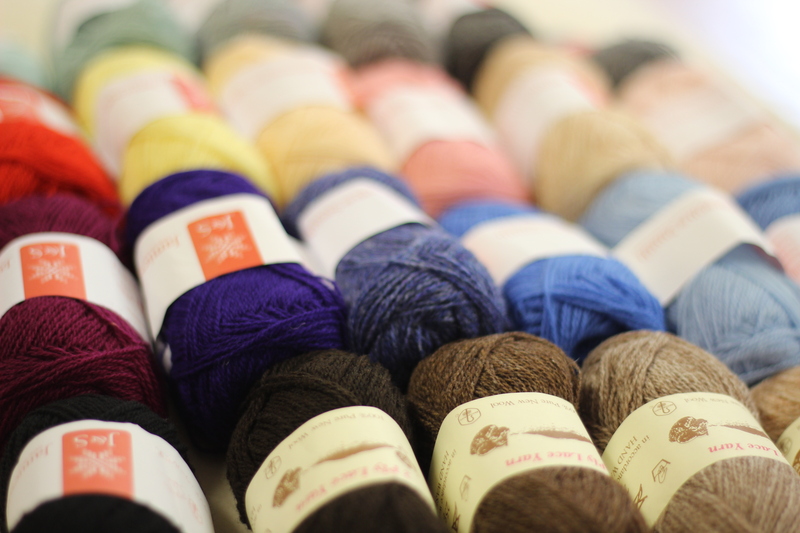 So interesting to read more about your yarn. Keep up the good work! 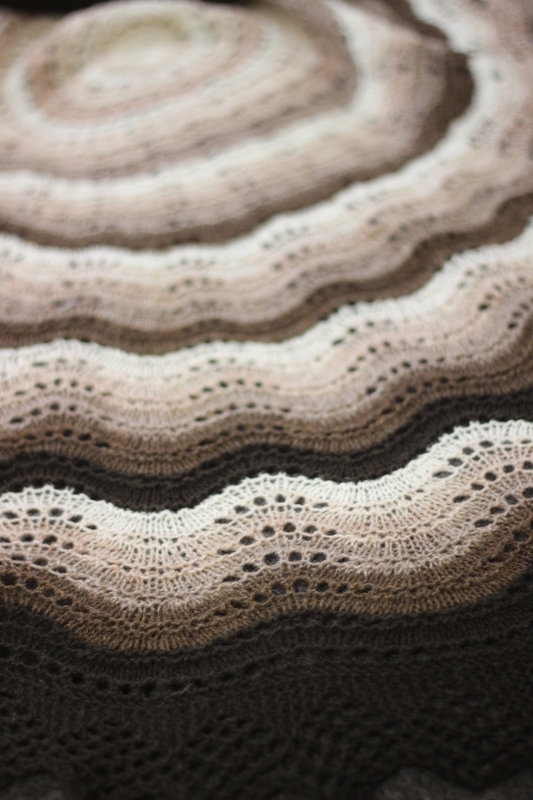 I am looking to purchase your lace weight shetland supreme. I cannot seem to find a way to do that. Help Please?